Criminology is a multi-disciplinary subject which draws on different disciplines such as sociology, law, history, psychology, philosophy, and social and public policy. You can choose to study criminology as a three-year degree or as a four-year degree course with a year spent studying at an overseas university. Why study Criminology at Bristol? Criminology at Bristol promotes an understanding of crime and related social harms as social phenomena but also examines which policies and interventions which can best address them. You will be introduced to arrange of topics including gender-based violence, children and harm, drugs, globalisation and harm, as well as corporate and state harm. Global and comparative perspectives inform many of our units to ensure that you receive a broad appreciation of the international dimensions to criminology. Where possible we promote making links between academic enquiry and practice, for example, by organising visits to the criminal courts, and inviting practitioners to visit the University to speak to students. Criminology is located within the School for Policy Studies, which provides a supportive environment for students to flourish as independent, active learners. You will be taught be enthusiastic lecturers who are passionate about their subjects and who use their research to inform their teaching, ensuring that you acquire relevant and up-to-date knowledge. You will be joining a friendly department which is highly regarded for the quality of its teaching and research. The Social Policy undergraduate programme in the School for Policy Studies is top of the Guardian’s league table for 2018, whilst the Childhood Studies programme is also highly rated. The quality of the teaching is related to the research strengths of the school; your lecturers will be leading researchers in their field. The inter and multi-disciplinary nature of our Criminology programmes mean they are ideal for students who want to develop a broad and holistic understanding of crime and related social harms. They would suit anyone who has interest in understanding these social phenomena and also wants to know how public policies and other interventions can make society safer. 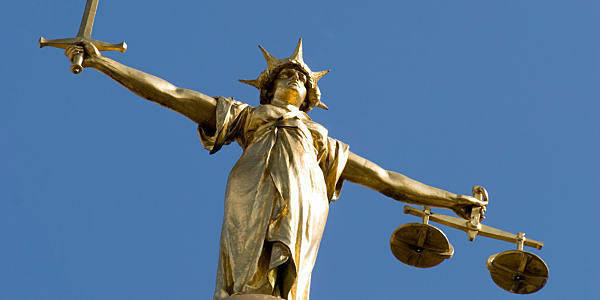 The Criminology programmes provide an ideal platform for anyone wishing a career in criminal justice or legal system. Teaching methods include traditional lectures, interactive lectures, classes or seminars, tutorials and clinics. Transferable skills are developed through working with others in small groups and giving presentations. In addition, where appropriate, the programme will aim to provide you with opportunities for practical experience, for example, visits to the criminal courts, and local prison. We place a strong emphasis on the role of assessment and feedback in helping you develop through your study. Every unit includes both formative and summative assessment. Methods of assessment include unseen examinations, extended essays and other structured written assignments. The 10,000 word dissertation is a piece of research carried out independently with the support of an academic supervisor. When it comes to choosing a career, criminology graduates often have the best of both worlds. The degree can be ‘vocational’ across a range of public, private and voluntary sector services and many will enter the national management training schemes for the Prison Service, local government and the civil service. Many will pursue professional vocations such as law (via the Graduate Diploma in Law) and social work. However, it is also a nonvocational degree and our graduates will compete successfully for the wide range of graduate opportunities that do not require specific subject knowledge but rather a set of skills, such as communication, teamwork and problem-solving. In the most recent REF, 80 per cent of our research was rated as ‘world-leading’ or ‘internationally excellent’ and the school was rated eighth overall in the country (when taking into account the number of staff entered).